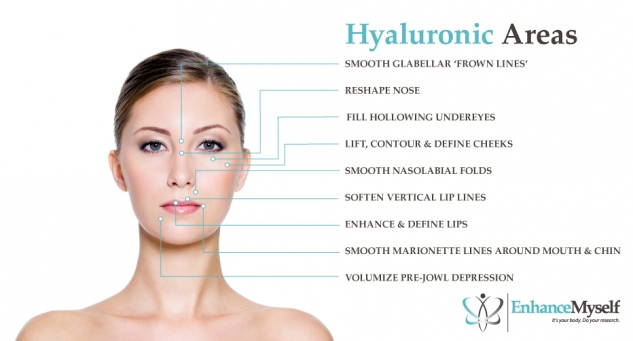 Hyaluronic Acid Based Fillers: Cost, Side Effects, Benefits, etc. Hyaluronic acid fillers are a popular choice for reducing the facial lines and wrinkles that result from aging. Such fillers are made from hyaluronic acid, a substance found naturally in the body’s connective tissues and skin. Once injected, they plump up facial skin that may have lost volume or elasticity as part of the aging process, filling in wrinkles from the inside and making the skin appear younger and rejuvenated. Over the past few decades, many types of hyaluronic acid fillers have been developed. Brand names of HA fillers include Juvederm XC, Perlane, Prevelle Silk, Captique, Elevess, Hylaform and Restylane among others. Some of these are available in the United States, while others are only approved for use in Europe and elsewhere. A few are meant for deeper facial folds, while others are intended for more superficial wrinkles. Smile lines, or the ‘nasolabial fold,’ running from the corners of the mouth to the nose. Most patients are 30 to 65 years old and are looking to reverse the signs of aging, although people both older and younger may receive hyaluronic acid injections. Many patients opt for HA fillers as an alternative to other injectable fillers, such as collagen, because there is no risk of an allergic reaction. Injections of HA-based fillers are performed while patients sit in a chair in the doctor’s office. The treatment takes an hour or less; many people call the use of injectable fillers a ‘lunchtime facelift’ because of the short time needed for treatment. Some formulations contain lidocaine, a local anesthetic. In other cases, the doctor will administer a topical or local anesthetic in order to make treatment as comfortable as possible. Then, the chosen filler is injected through a thin needle into the targeted area of skin. The exact volume of HA filler injected depends on the depth of the wrinkle, amount of change desired, skin type, and other factors. After injection, the skin may be massaged in order to smooth the injected material and ensure the most aesthetically pleasing and natural-looking results. 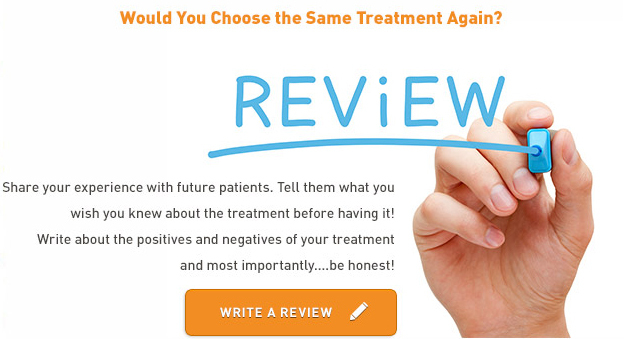 Following treatment, patients are free to leave the doctor’s office immediately. Patients may experience minor bruising, swelling, redness, or tenderness at the point of injection. Because hyaluronic acid occurs naturally in the body there is no risk of an allergic reaction, unlike with some other cosmetic fillers. Most patients experience little to no downtime. This is one reason why many patients opt for hyaluronic acid fillers over plastic surgery techniques like eyelid surgery. There are no incisions, no bandages, and no restrictions on your activities after the procedure is complete. HAVE YOU HAD HYALURONIC ACID BASED FILLERS? Once injected, the hyaluronic acid improves the structure of the skin while attracting water molecules, which aids in hydration and increasing skin volume. Some of the results will be visible immediately, while others may take a week or two to become apparent. Depending on the HA filler solution used, the results may last anywhere from a couple of months to several years. Hyaluronic acid fillers are much less expensive than surgical solutions for reducing the signs of aging, such as a facelift or brow lift. The average surgeon’s fee for this procedure is around $600. The exact cost depends on the brand name of HA filler used, the volume of filler, the geographic location and doctor performing the injection and other factors. While cosmetic injections are not usually covered by health insurance, many doctors offer flexible financing and payment plans to help their patients afford these treatments.